Theater presentation is partially adapted from Momotaro, written by Tadashi Matsui, illustrated by Suekichi Akaba, published by Fukuinkan Shoten Publishers, Inc., 1965. Oni, you are different from us and we are different from you, but we can both exist in this world. Crossing Jamaica Avenue returns to Japan Society for Children’s Day Festival: Kodomo no Hi on Sunday, May 6 to present MOMOTARO and YOU! 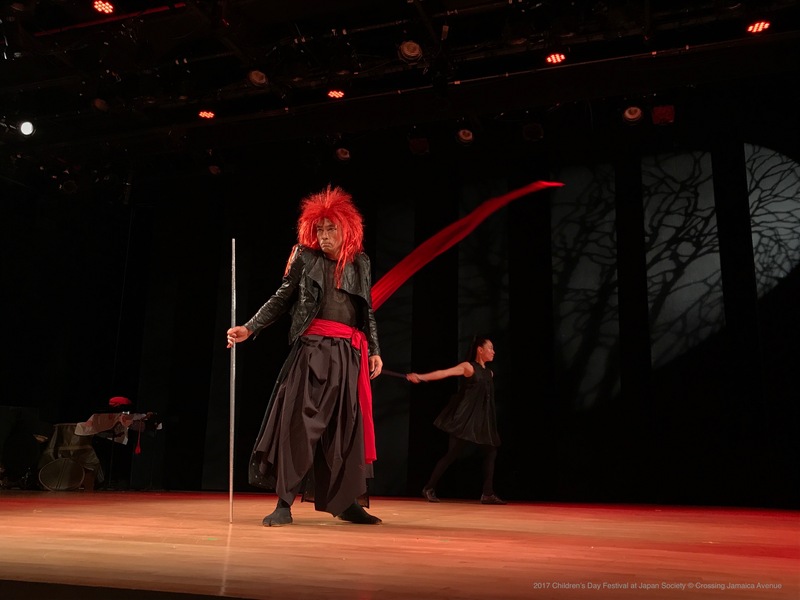 In this original theatrical version of one of Japan’s most popular tales, “Momotaro,” three skillful artists together with YOU, explore the world of this hero’s adventure through action, whimsical song, and taiko drumming. The tale of Momotaro is about a Peach Boy who leaves his parents to go on a quest to fight an evil band of ogres on a distant island. Along the way, he befriends a talking dog, monkey, and pheasant, who help him on his journey. MOMOTARO and YOU is supported by the Mental Insight Foundation.